Stage One of the $500 million redevelopment of Toowoomba’s Grand Central Shopping Centre has opened, showcasing The Buchan Group’s design of a new two-level retail galleria precinct. On completion, the galleria will link the existing centre across the railway line, two roads and West Creek to the Toowoomba City Heart. The bridge is subtly ramped to reconcile differing floor levels between the existing centres, simultaneously crossing the railway corridor. 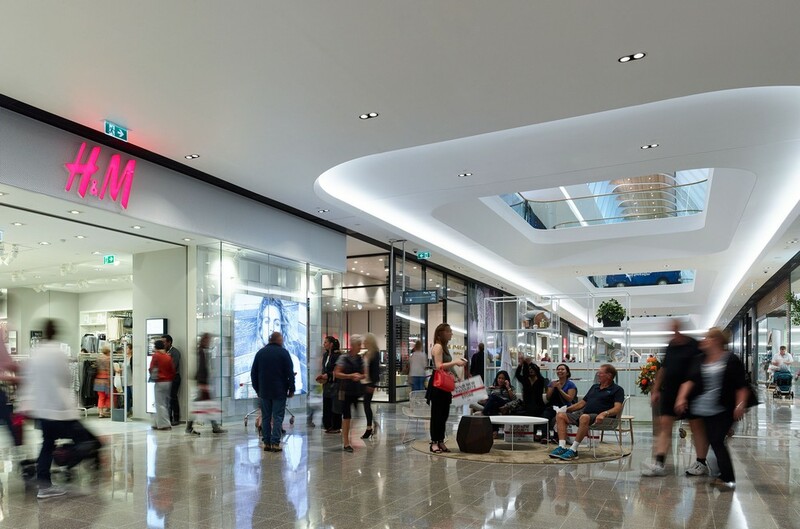 By respecting its connections into the existing urban fabric, Grand Central creates an enhanced and enjoyable shopping experience interwoven with context and external environment, giving a genuine Toowoomba experience. Anchored by the region’s first H&M store, the galleria has generous shopfront heights (4.5m) to create a relaxed elegance. This is reinforced by continuing southlight windows, which run the full length of this space, to create a magnetic destination that embodies the tradition, culture and opportunity of the Toowoomba and Darling Downs region. 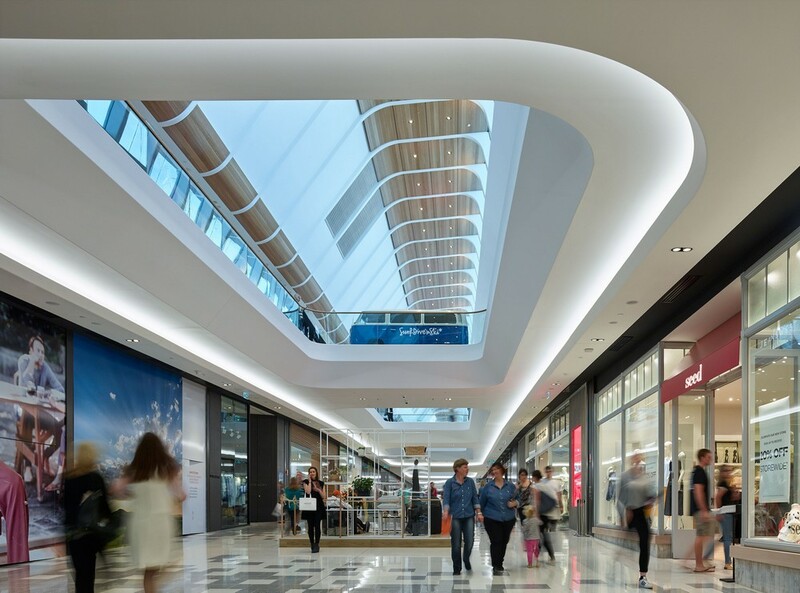 The skylight scoops light and naturally illuminates the curved timber ceilings while additional low-energy lighting highlights the natural materials and bold, warm forms of the interior, framing the southlight and view of the Toowoomba sky. 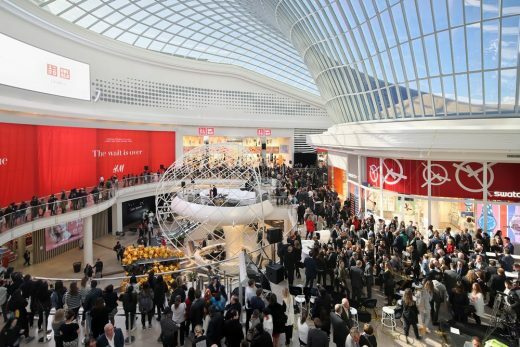 The Buchan Group Director Gerry Holmes said the galleria was carefully crafted to maximise retail sightlines and visual amenity, enhancing the shopping experience. He said it set the benchmark for future stages, designed by Buchan and other specialist consultants, which are due to open in 2017. “Critical to the success of any retail development is its master plan. While remaining flexible, this master plan embodies sound retail planning principles, placement of major tenants, clear pedestrian access, appropriate carparking and circulation, and relevant goods servicing provisions,” he said. • The interiors are a contemporary, but warm expression of the charm and character of Toowoomba. Natural materials are crafted to express the Toowoomba region and urban environment by using timber, stone and brick washed with soft south light. • Streamlined frameless glass balustrades with sinuous tactile blackbutt handrails elegantly maximise visual exposure of shopfronts, views between floors, ceilings and sky. • The floor pattern represents dappled sunlight on a path. This concept employs a graduation of neutral colours, ranging from off white shades feathering into warm grey tones. This subtle detail communicates a layer of meaning and character quietly but confidently. 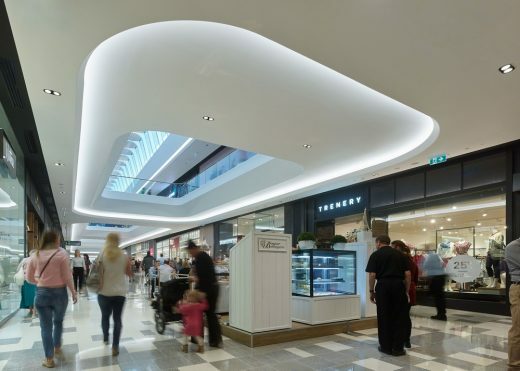 • The curved timber ceiling establishes a pattern and textural dialogue with the exterior façade to create a connection between the internal spaces and external skin of the built form. Located on the corner of Margaret and Dent Streets, Grand Central is the Darling Down’s largest shopping centre by size.